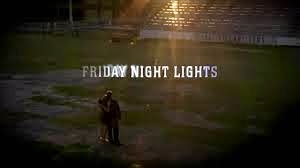 We bring back "Friday Night Lights"... I think that it was last year when I wrote up one of these. A little round up of what is going on around the blog circuit. Well, first of all, Howard's lights over @ Windknots & Tangled Lines, blacked out. For just a minute or two. Something about a ceiling fan and a fly rod in his hand connecting before the "hit" to the floor. All is well with Howard, but not the rod. Alan, over @ Small Stream Reflections is doing what he does best... Catching wild brookies on the front line. I believe that there is no prettier of a place than where he lives. New England... the land of majestic color in leaves and fish. We've got Mark over @ Northern California Trout finding all kinds of beautiful lakes to throw a line in. Here is the Upper Blue Lake, out by Lake Tahoe, NV. Lucky dog. I loved that area when I lived out there. It must be an epidemic though. He broke a rod too... Fishing with or without ceiling fans is a tough job, folks!!! 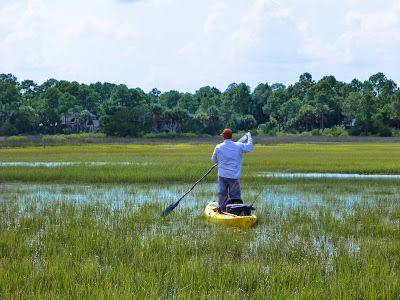 And the last blogger to put under the Friday Night Lights is none other than Kirk @ Unaccomplished Angler. He seems to be leaning a new skill as well. Fishing on a John Deere and catching "lawn trout". Ok, Some people's kids. Speaking of rashes, I broke my Sage Rod about 2 weeks ago, already received by the repair department, I bet I will not see it for a month! They always do their best to please. Thanks for the shout out Emily. California would love to have you back. And I thank you as well Emily. I don't mind trashing a beat up rod. Never have broken a usable one. Signing out from "Brookie Central".